The CIAA conference, the nation’s oldest African-American sports conference, made a surprising announcement yesterday for many in Charlotte. It’s seeking bids to host its basketball tournament elsewhere beginning in 2021. Not only has the tournament been in Charlotte since 2006, the conference also moved its headquarters here in 2014. The head of the Charlotte Regional Visitors Authority, Tom Murray, said the tournament’s economic impact is the largest of any annual event that comes to Charlotte. Murray said he expects the CRVA to bid for the tournament but that the organization still needs to review details of the process. 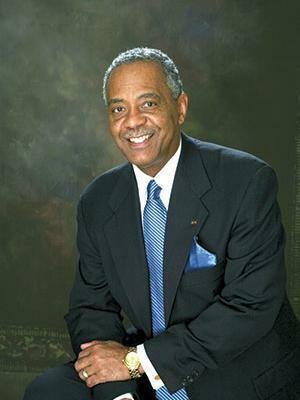 But the chairman of the CIAA board, James Anderson, said some businesses in the city’s hospitality industry need to change their ways if the tournament is to stay here. James Anderson: Even though Charlotte has been a good host and we've had a good relationship with Charlotte, there a couple of things that, you know, we consistently haven't been happy with. For example, the price gouging of hotels. We couldn't seem — we can't seem to get the hotels in Charlotte to agree on at least a sensible range of prices versus some hotels being more renegade. And they tend to price gouge at the last minute. So we are looking for a relationship with the city where we can probably get more consensus on things like that. Mark Rumsey: The price gouging. How widespread do you see that has having been and for how long? Anderson: Well, Charlotte used to be really really bad. The leadership in Charlotte has managed to get some control over that. And so it's nowhere near as many hotels that [price gouge] now as used to do it. It's only a few — which I'm not going to name any of them — but it's still a couple out there that do it. Because you're often not given any warning, a lot of people who support the conference, who go there for games etcetera, only find out at the last minute that this happens or they get charged for things that make no sense on their bill. Every now and then something called a "CIAA fee" shows up on a bill and we’re asking what this is. We're never given a reasonable explanation. We just want to make sure that doesn't happen anymore and that if we do get out and choose to go to another location, that is one of the things that must be addressed in any relationship with the new city. Rumsey: To my knowledge, you would be referring specifically to the situation involving the Ritz-Carlton Hotel here a few years ago? Anderson: It hasn't been the only offender. I'm just saying. Other hotels also have been offenders. But Ritz-Carlton has been one that has been willing to work with us and some haven't. Anderson: Yes, with the CIAA, but I think more so with our fans and our alumni and people who come to the conference and travel great distances. They have a certain expectation of fairness and equity — that does leave a bad taste. Rumsey: Are there other factors that are prompting an interest in shopping around on this? Anderson: I want to make this a point of emphasis. It is standard business practice to do this. For example, a lot of the money that is recouped from the tournament goes to student scholarships. So we want to see whether or not we can, in essence, get a better deal and get more support for student scholarships from our city. Rumsey: The standard business practice that you've referred to. At the same time you've also said that this is the first time since the tournament started in 2006 in Charlotte that this process has really played out like this, so it hasn't been the standard business practice that the association has followed up to this point. Anderson: No. But remember, we're under different leadership now. We had been under a previous commissioner, and that person and the individuals who were with the board probably did not approach it that way. But our commissioner has a long history of being involved with the NCAA basketball tournament. In fact, she handled a lot of the hotel accommodations for the NCAA tournament. She has a lot of experience with this. And I think that's probably the reason you see it now versus not seeing it in the past. Rumsey: Is the CIAA encouraging Charlotte to continue competing for this event? Anderson: Yes we are. We are. And you know, just pragmatically speaking, a lot of our fans have gotten used to Charlotte. When you have the largest number of schools in North Carolina and Virginia, people are used to coming to Charlotte and enjoying Charlotte. However, they still do continue to raise certain issues, as does the conference, about some of the treatment in Charlotte by hotels and other groups. We want to make sure that we consider opportunities that might be more beneficial to us. At the same time, we recognize Charlotte been a great partner in all of this and that we owe it to Charlotte to be able to see if we can address some of these problems we have. Rumsey: Just to try to be clear, the hotels we've clarified. You just now mentioned other groups. Can you be more specific on that? Anderson: Well, the issue that I raised for example of CIAA fees hasn't just existed with hotels. It has existed with restaurants in Charlotte. Now, how they know somebody who's there as a patron is from the CIAA versus just being someone who is in Charlotte for business — I have no idea. We can't understand, the board of directors can't understand, why this can't be alleviated. The CIAA basketball tournament is underway this week in Charlotte. It's a major economic event - city officials say last year's tournament generated more than $57 million. Of course, a lot has changed since last year’s tournament. Now, there’s House Bill 2. The NCAA, ACC, and the NBA have all pulled events from North Carolina in protest of the law. The CIAA did move some of its championship events out of the state, but decided to keep its signature basketball tournament in Charlotte. We met up with conference commissioner Jacqie McWilliams in uptown to discuss the decision to keep the tournament in Charlotte, which has also served as the CIAA’s headquarters since 2015. 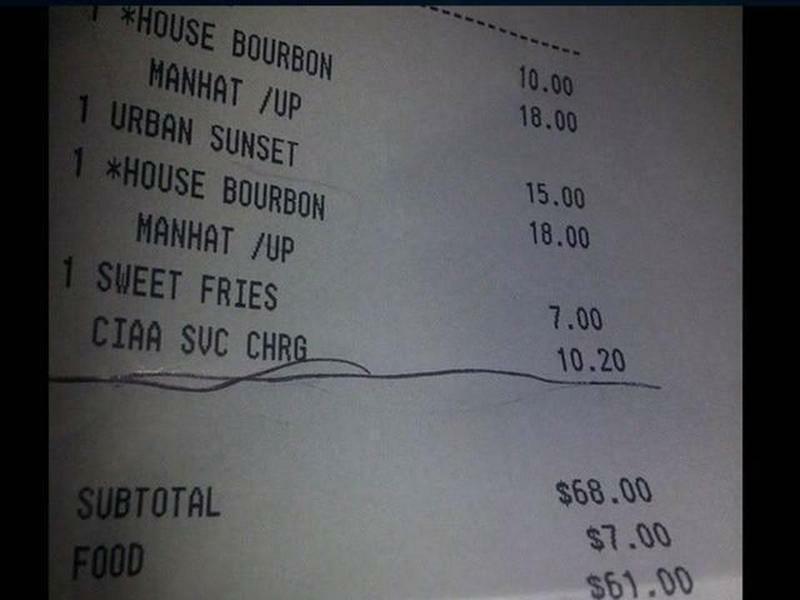 The receipt is from the Ritz-Carlton in uptown, and that extra charge was levied during the recent CIAA basketball tournament.